i haven't had a chance to use it yet i think it will be ok for i had a screen clogged not allowing pressure to go through. 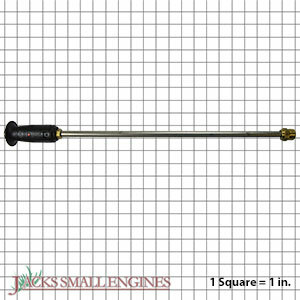 Ask us about the Briggs and Stratton Power Products 205015CGS Adjustable Wand. Please no repair questions. Your Q&A may be posted to Jackssmallengines.com to help other shoppers, like you, with their purchasing decisions. Thank you.